Taxi/Cab Service » Sarasota Yellow Cab of Sarasota, serving your need for taxi, van, medical transport, limo - Need a cab, taxi, cab, wheelchair van, party van call Yellow Cab of Sarasota today! Yellow Cab of Sarasota is waiting for your phone call today! We have drivers that work driving our taxicabs, 365 days a year, 24 hours a day 7 days a week for your convenience. Our taxicabs are clean, safe and reliable! Our drivers are simply the best around, having extensive knowledge of Sarasota and the surrounding areas. Consider Yellow Cab of Sarasota when heading out for a night on the town or to a party. Yellow Cab of Sarasota also offers taxi cab services for Doctor’s appointments, medical appointments, and pharmaceutical pick-up and/or drop-off.  Yellow Cab of Sarasota is also a safe and reliable way to get to and from the airport without all the hassle. Even if you just want to go shopping and don’t want to deal with the stressful parking and traffic call Yellow Cab of Sarasota today! Whether you need a taxicab inSarasota, Siesta Key, Longboat Key,St. Armands Circle, Palmer Ranch,Venice, Casey Key, Bradenton/Manatee Yellow Cab of Sarasota is happy to be of service to you! Call Yellow Cab of Sarasota today for a delightful ride to and from almost anywhere!